I just received an email. It was from a woman building a website, and wanted help with AWS. She wondered if I might be able to provide any assistance. I followed up with her and asked what she was building. “Nothing” she explained, I just want to learn about AWS. I was a little confused at first, but as we talked further, it seemed she was just beginning to branch out onto the wild world of the internet, and didn’t know where to start. I explained that to build an e-commerce site, she could use a service like Shopify, and would likely not need to use AWS directly, and certainly wouldn’t have to learn it. That might take five to ten years learning computing first! I realized I was telling her she didn’t need the services of someone like me, and further giving her half of a solution. Though I couldn’t help her build a product, the information could surely help her sell it. Then I thought to myself, why would I do that? Why give away your time & advice for free? Yep it’s true, I’ve learned over the years it’s always worth your time for a quick call. I even talk to recruiters on occasion though I don’t work with them. You’d be surprised how often you learn from someone, especially when they don’t work in your domain. You learn from the way they frame questions, how others might view or search for you. You learn how better to explain & sell your services to future customers too. In a call like this one, it costs me very little to “drop some knowledge” as the cool kids like to say. 🙂 Sure my time is worth something, and yes I’m giving something away for free. But in this case it was someone who currently doesn’t have the budget for my services so isn’t my target audience anyway. Be patient. As Keith Ferrazzi likes to say “Never Eat Alone”! I’ve taken hundreds of calls like this one over the years, and some later get funded & call me back. They’re eager to put me to work, already sold on my integrity & personality. What’s more she may run in different circles than I do, bump into a colleague or recommend me at some point. If your openness really stands out, it’ll leave a memorable impression long into the future. In a place like New York where we’re often singularly focused on profit & personal gain, it’s easy to stand out by a small act of kindness. What events are good for tech & startup networking in New York City? I’ve worked in the NYC startup scene since the mid-nineties. It seems to keep growing every year, and there are so many events it’s hard to keep track. Here’s where to look for the best stuff. Gary Sharma hosts an authoritative guide to all the events in the new york tech & startup scene. It’s sort of the one-stop shop for knowing what’s going on. Lucky for us, in a city the size of new york, there’s an opportunity to meet & network with people everyday of the week. Meetup.com is another invaluable resource. There are technical groups & social ones, and plenty of niche groups to for specific areas of interest. For example there’s NYC Tech Talks, NY Women in Tech, Tech for good & NY Entrepreneurs & Startup Network. There are plenty more. A lot of events us Eventbrite for ticketing, so it turns out to be a great place to search. Some of the startup related events . Michael Gold’s #techdrinkup event keeps getting bigger & better. More social hour than presentations & such, you’re sure to bump elbows with some folks in NY’s exploding tech scene. Take a look at some of the event photos on their facebook page. Also: How do hackers secure their Amazon Web Services account? The biggest event on the MySQL calendar is the yearly Percona Live and it’s just around the corner. This year you’ll be able to pick from a whopping 110 technical sessions by 90 different speakers from companies like Facebook, Amazon, Google and Linkedin. Learn what’s happening at the cutting edge of open source database deployments. Besides the technical sessions, there’s plenty of hobnobbing with fellow DBAs, developers, and industry folks. A great opportunity all around. It’s just a couple of weeks away, so don’t waste any time. You can register here and enjoy a 20% discount code “SH-Live”! Also find the author on twitter @hullsean. Demand for talented engineers has never been higher. It is in fact the dirty little secret of the startup industry, that there are simply not enough qualified folks to fill the positions. What this means for you is that you have a lot of options. What it means for a hiring manager is that you will have to work even harder to find the right candidate. Just going to a recruiter isn’t enough. Use your network, go to meetups, follow Gary’s Guide daily. Also check out our Mythical MySQL DBA piece where we talk about the shortage of DBAs and operations folks. Further if you’ve dabbled in freelance or independent consulting, I wrote an interesting an in depth look at Why do people leave consulting. Understanding this can help avoid it in your own career, or avoid your resources leaving for better shores. Find us on twitter @hullsean and linkedin where we share content and ideas everyday! As they say, your reputation precedes you. So start building it now. Fulltime or freelance, you want to be known. Speaking, yes you can do it. Start with some small meetups, volunteer to speak on a topic. A ten person room is easier than 30, 50 or 100. Once you have a couple under your belt, fill out a CFP for Velocity, OSCon or some software developers conference. There are many. Blog – if you’re not already doing so you should. Start with once a week. Comment on industry topics, controversial ideas, or engineering know-how. Prospects can look at this and learn a lot more than from a business card. Write a book, yes you can. It may sound impossible, but the truth is that publishers are always looking for technical writers. Pick a topic near and dear to you. It’ll also give you endless material for your blog. Go to meetups, you really need to be getting out there and networking. Get some Moo Business Cards and start working on your elevator pitch! Social media – being active here helps your blog, and helps people find you. Twitter is a great place to do this. Interact with colleagues and startup founders, VCs and more. If you’re a hiring manager or CTO, you may find great programmers and devops this way. We also wrote a more in-depth article Consulting and Freelance 101. It’s a three part guide with a lot of useful nugets. Also take a look at our MySQL DBA Interview Guide which is as helpful to devops and DBAs as it is to managers hiring them! Above all else, build your network & your reputation. It will put you in front of more people as a person, not a commodity or a resume in a pile of hundreds. You definitely don’t want to take the first offer you get, and managers don’t want to hire the first candidate that comes along. You want two or three to choose from. Best way to do this is to have options. If you’re a candidate, network or work through your colleagues. 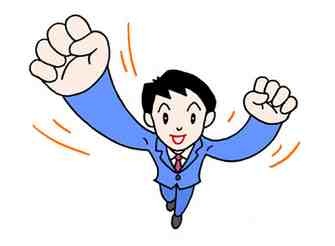 When you do get a lead, be sure you’re speaking to an economic buyer. If you’re not you’ll need to try to find that person who actually signs the checks. They are the ones who ultimately make the decision, so you want to sell yourself to them. Get a Deposit – I know I know, if it’s your first freelance job, you don’t want to scare them off. Or maybe you do? The only prospects that would be scared off by this are ones who may not pay down the line. Dragging their feet with a deposit can also mean bureaucratic red tap, so be patient too. Sara Horowitz has an excellent book Freelancers bible, we recommend you grab a copy right now! Commodity You Are Not so don’t sell yourself as one. What do I mean? You are not an interchangeable part. You have special skills, you have personality, you have things that you’re particularly good at. These traits are what you need to focus on. The dime-a-dozen skills should sit more in the background. You’ll also need to price and package your services. We talked about this in-depth in Consulting Essentials – Getting the Business. We also think there is a reason Why Generalists are better at scaling the web. For hiring managers this doesn’t mean working through recruiters that might be bringing subpar talent, it means networking through industry events, meetups, startup pitch and venture capital events. There are a few every single day in NYC and there’s no reason not to go to some of them. For candidates, be eyeing a few different companies, and following up on more than one prospect. You should really think of this process as an integral and enjoyable part of your career, not a temporary in between stage. Networking doesn’t happen overnight, but from a regular process of meeting and engaging with colleagues over years and years in an industry. 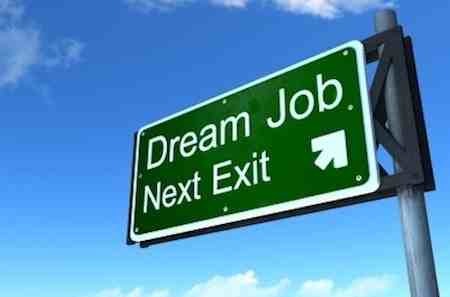 At the end of the day hiring is a numbers game so you should play it as such. Keep searching, and always be watching the horizon. Read this far? Grab our Scalable Startups for more tips and special content. 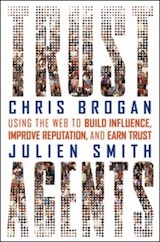 Stumbling onto 800-CEO-Read, and their top books feature, I found Brogan and Smith’s work. Brogan’s blog intrigued me enough so I walked down to the Strand here in NYC to pick up a copy. What I found was an excellent introduction to the nebulous world of social media marketing, where you find all sorts of advice and suggestions on how to engage your target audience. If you’re feeling like an ignoramus on matters of social media, Trust Agents is a great place to start and will give you ideas of how to ‘humanize’ your digital connections. The authors illustrate the Trust Agent idea with Comcast Cares for example and how they engaged customers, and what worked so well for them. Or Gary Vaynerchuk and his game changing Wine Library TV about wine. He also emphasizes that building relationships online is a lot like building relationships in the real world a la Keith Ferrazzi of Never Eat Alone fame. Engage in meaningful ways with people, don’t market to them. Share valuable tidbits, and the community will reward you tenfold. The book is excellent. Put it on your holiday list. Security experts will probably tell you it’s not a good idea to be a dummy and also in charge of your own firewall. They’re probably right, but it’s a catchy title. In this article, I’ll quickly go over some common firewall rules for iptables under linux. First things first. If you don’t have the right kernel, you’re not going to get anywhere. A quick way to find out of all the right pieces are in place is to try to load the iptables kernel module. If you get errors you may need to compile various support into your kernel, and of course you may need to compile the iptable_nat module itself. The easiest way is to download the source RPM for your installed distribution, and do ‘make menuconfig’ with it’s default configuration, that way all the things that are currently working with your kernel won’t break when you forget to select them. For details see the Linux Firewall using IPTables HOWTO. On my firewall, eth1 is the device which talks to the ISP, and gets the IP address we’ll use on the internet. The other interface, eth0 is for my local internal network. Of course you don’t really want to be a dummy forever, so you should read up Linux Firewall HOWTO and other linux docs.